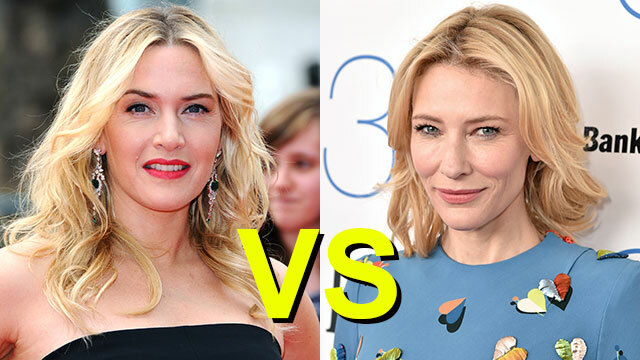 This weekend, two of the most celebrated leading ladies in Hollywood, Kate Winslet and Cate Blanchett, went head-to-head as villains in their respective big budget blockbusters. But how do the two Oscar winners stack up against one another? That’s what ET’s Celebrity Showdown is here to discover. Looking at seven unique criteria that weigh box-office earnings, critic’s reviews, and award season gold, Celebrity Showdown examines the anatomy of both stars’ careers to determine who’s really the best.